This week Sig announced that special reaction teams in Michigan’s largest city will be using the company’s M400 AR platform. 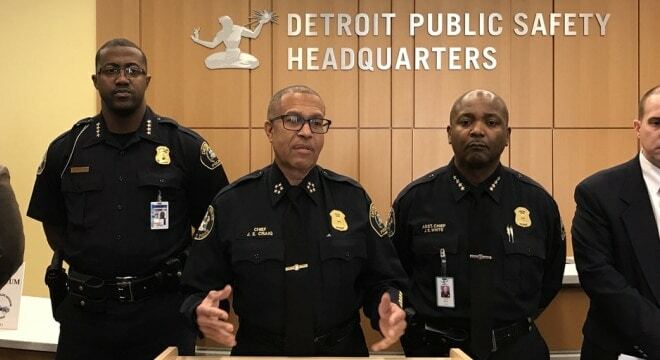 In a release from the New Hampshire-based firearms giant, Sig detailed that the Detroit Police Department has adopted the M400 series rifle for their SWAT officers. Tom Jankiewicz, Sig’s executive vice president for law enforcement sales, said it was a good match. “The M400 rifle is designed to exceed military standards to be the most accurate and reliable rifle in its class, which makes it an optimal choice for specialized law enforcement units in extraordinary enforcement situations,” Jankiewicz said. While Sig makes the M400 in a number of variants, Monday’s statement is slim on details as to which model Detroit went with. Features standard across the series of 5.56mm rifles with a direct impingement gas operating system include a full-length free-float M-LOK handguard, 6-position telescoping stock, enhanced SIG trigger, and a rotating lock bolt. While the DPD has about 1,700 officers and has been in a retention crisis, reportedly losing personnel to higher paying suburbs, the agency’s SWAT team is a high-profile unit that has been featured in recent years in its own documentary show on the A&E network. Three years ago, the unit received a new armored vehicle that cost about $700,000, paid for with forfeiture funds. The M400 has seen several buys from law enforcement, the most recent from the Franklin County Sheriff’s Office, responsible for policing the most populous county in Ohio, who in August chose the firearm as their standard patrol rifle.